Oscar Rivas: "I demonstrated that I’m unbeaten for a reason!" “I worked hard for this fight, and this is the result we were looking for. “Before the beginning of the last round, my coach reminded me how hard we had worked and that motivated me to leave everything in the last round. I saw that the combination of a hook and straight right hand was landing, and I kept throwing it until I knocked him down. “I demonstrated that I’m unbeaten for a reason. Now after this triumph, the boxing world will know my name. This victory puts me closer to being among the elites of the division. I want to write my name in the history of Colombian boxing. 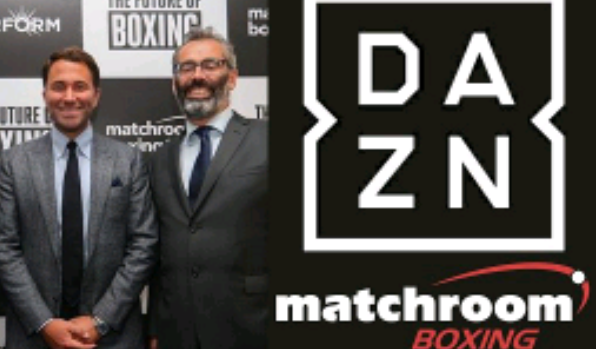 Rumor Mill: Gennady Golovkin Signs Multi-Fight Deal With DAZN!